Creepy shrunken applehead dolls! Twisted treats for Neil Gaiman fans. 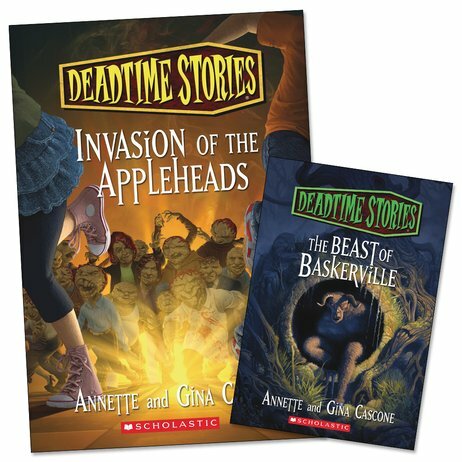 When Katie and Andy’s parents take them to Appleton’s famous apple orchard for a haunted hayride, it’s not fun – it’s scarily weird. The ghouls who haunt the orchard seem spookily real. Then their parents disappear – and in their place, Katie and Andy find shrunken applehead dolls. Horribly creepy stuff, with gruesome seconds to follow. Why are the streets of Baskerville so deadly after dark? Eerie, atmospheric horror to get kids totally hooked!